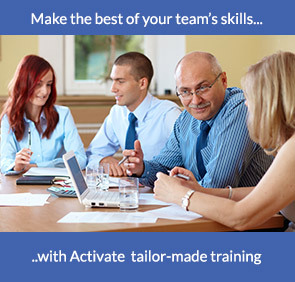 Activate consulting will work with you to understand your culture, and what your organization or your people need to do differently or better. Training should be stimulating, enjoyable and fun, but must also be relevant to real work situations, and be value for money. Delegates are encouraged to take personal responsibility for change and growth, and for following this through to a positive impact on their business. New knowledge itself is not enough, people need to be encouraged to have the confidence to put it into practice. Working in partnership with our clients, we help them to develop the strengths they already have within.